Okay so there’s 3 days left in the month, but for reasons I’m getting this in early! 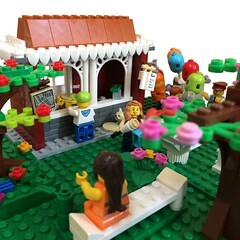 And it’s probably with good reason because not 1 but 2 projects have already caught my eye on Lego Ideas this month. Gorgeous isn’t it? 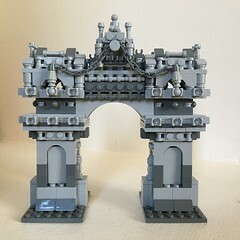 Technic is generally not really my thing (I’m more about how something looks than how it works) but I have serious props for anyone who can engineer something as great looking as this and this functional. It’s a large model, approx. 12″ long, loaded with Technic functions, just like the real thing. Watch the piston of the steam engine move, while the slide controls the steam inlet to the cylinder. See the regulator spin as the machine picks up speed. Engage the clutch to couple the engine to the drive train; there’s a two-speed gear box included. A differential distributes the driving power among both rear wheels, so the machine can make turns without losing grip. The steering mechanism has just the right gear ratio to allow comfortable steering and swiveling of the heavy front axle. Attach the removable canopy to protect the engineer from the weather. He also specifies that it would work best as a 3-in-1 model, becoming also a Showmans Engine, a Steam Roller or a Crane – and he supports this with some more great images. Fingers crossed for Big Steam Tractor. I think this is a project that will have a wide ranging appeal – to include those outside the FOL community. It will not only look good as a presentation piece, but the added bonus of functionality and being able to see how the internal machinery can work and move will win it many fans I’m sure. At the moment Big Steam Tractor is at 810 supporters – if you’d like to give it a vote you can do so on it’s Lego Ideas Project Page here. 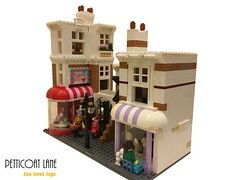 Like Big Steam Tractor above, this is a project that I feel would interest even those who don’t collect Lego. It’s a clever idea and executed well. 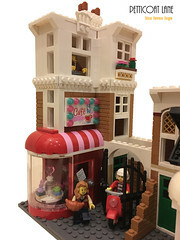 Right now Ship In A Bottle has 5870 supporters on Lego Ideas – and if you’d like to add your support, you can do so on the Lego Ideas Project Page here.